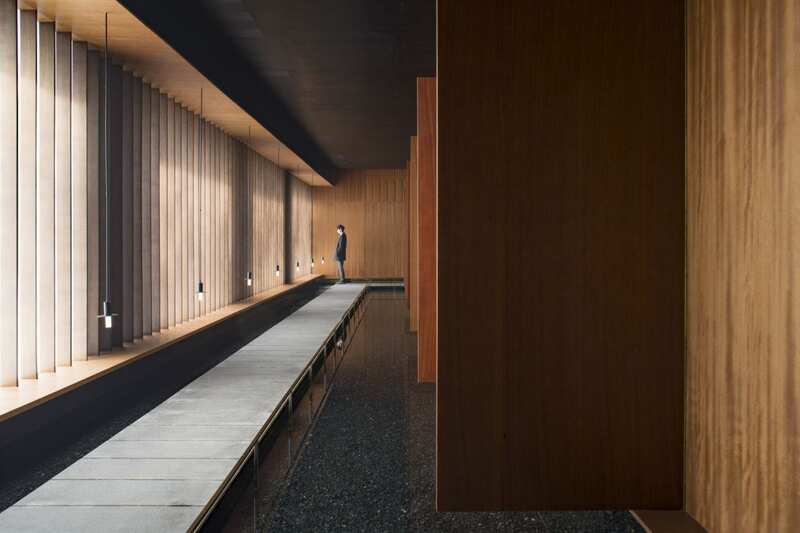 We could all agree that retail precincts are among the least Zen-inducing spaces. 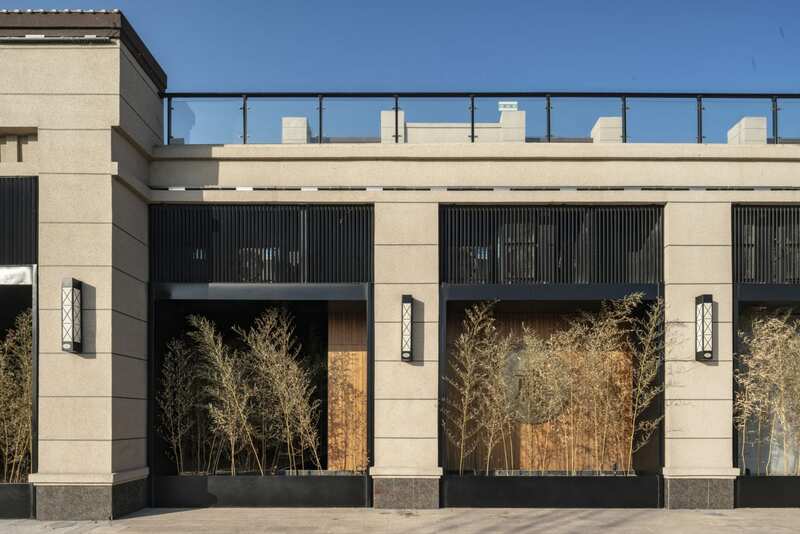 HIL Architects gave this 600sqm site in suburban Cangzhou, China a total identity change, transforming a series of shops into a meditation and yoga centre. 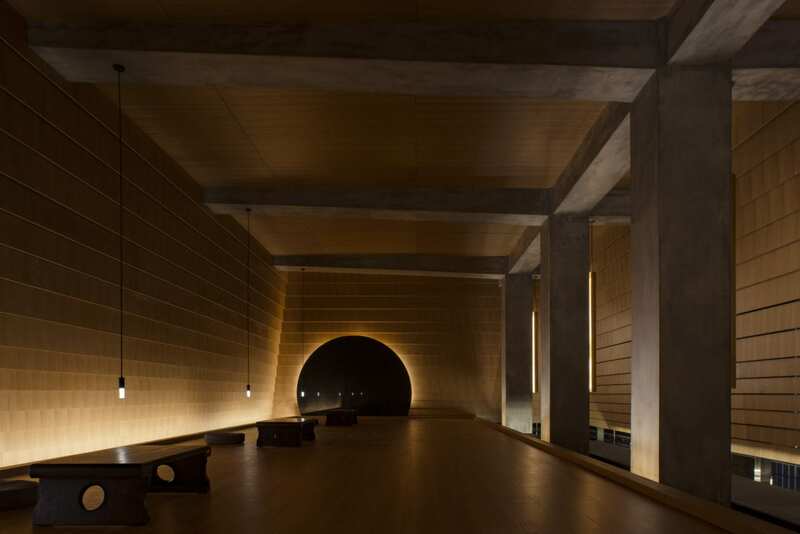 The architects used motifs inspired by natural wetlands that lie adjacent to the site, aiming to create a tranquil retreat that distracts visitors from the highway and busy commercial street nearby. 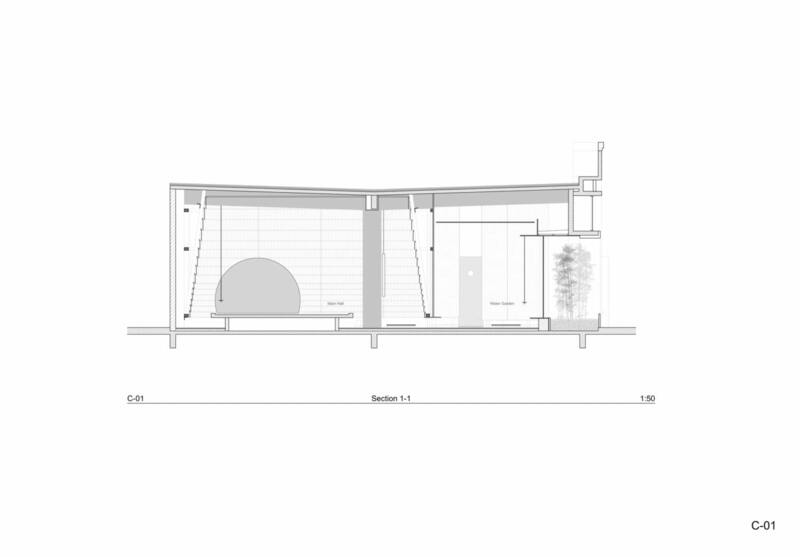 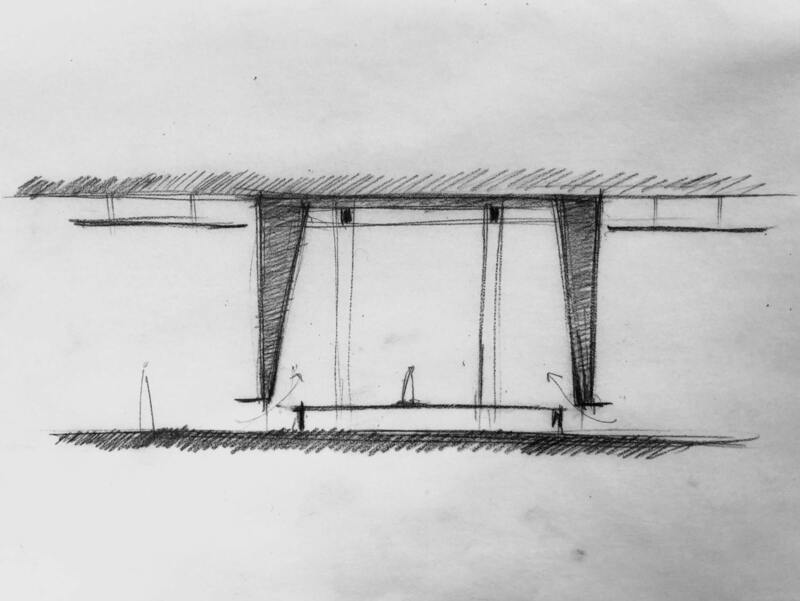 A series of linear columns and beams determined the layout of the individual spaces. 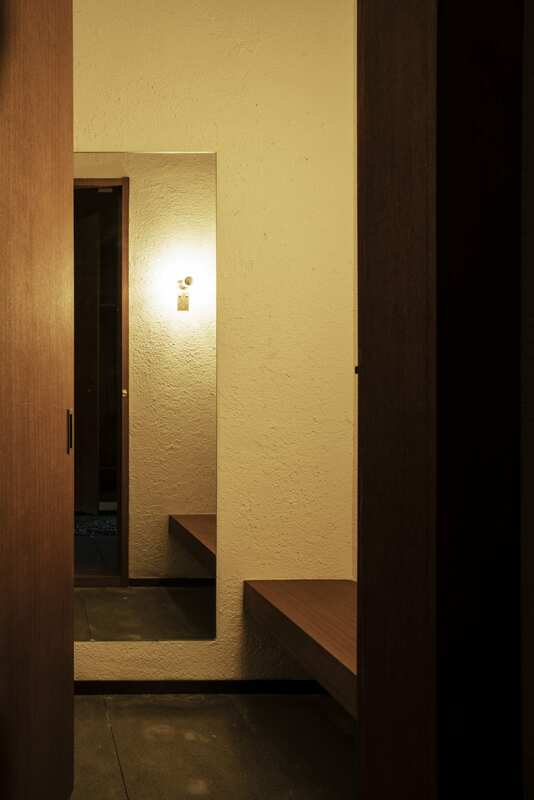 The architects maintained these original load-bearing structures yet made them imperceptible from the interior, creating a circular communal hallway that winds around cordoned-off rooms for private classes, bathrooms, and dressing rooms. 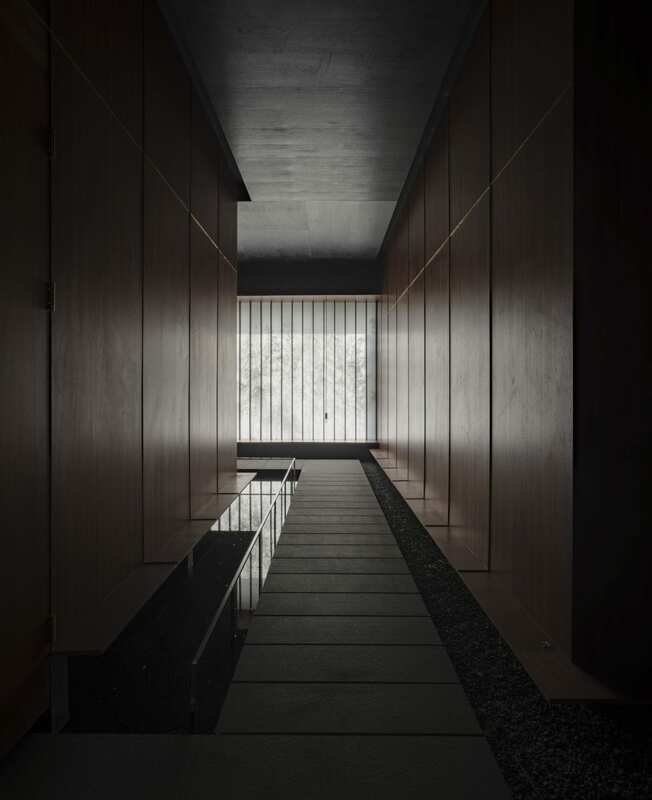 A fantastical indoor ‘wetland’ forms part of this hallway, featuring a water garden with a raised corridor platform that runs parallel to the main meditation hall. 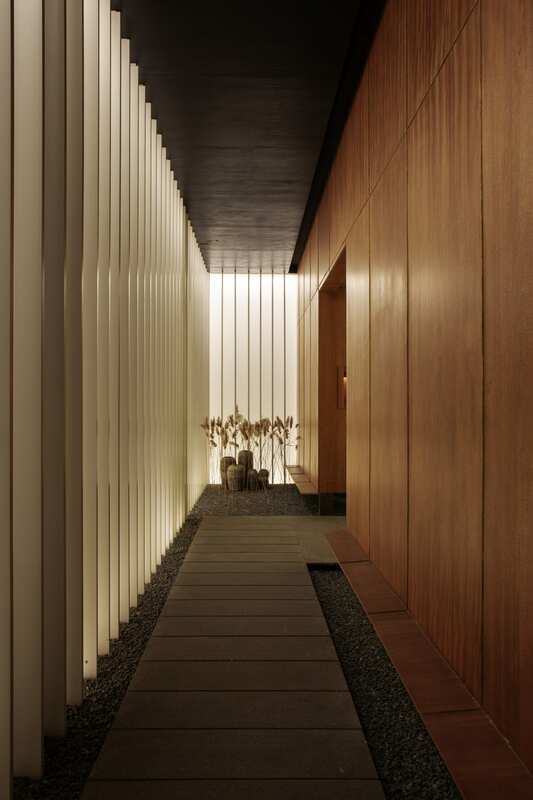 Natural light diffuses softly through vertical timber louvres along the water garden, a tranquil progression away from the bright, noisy street outside. 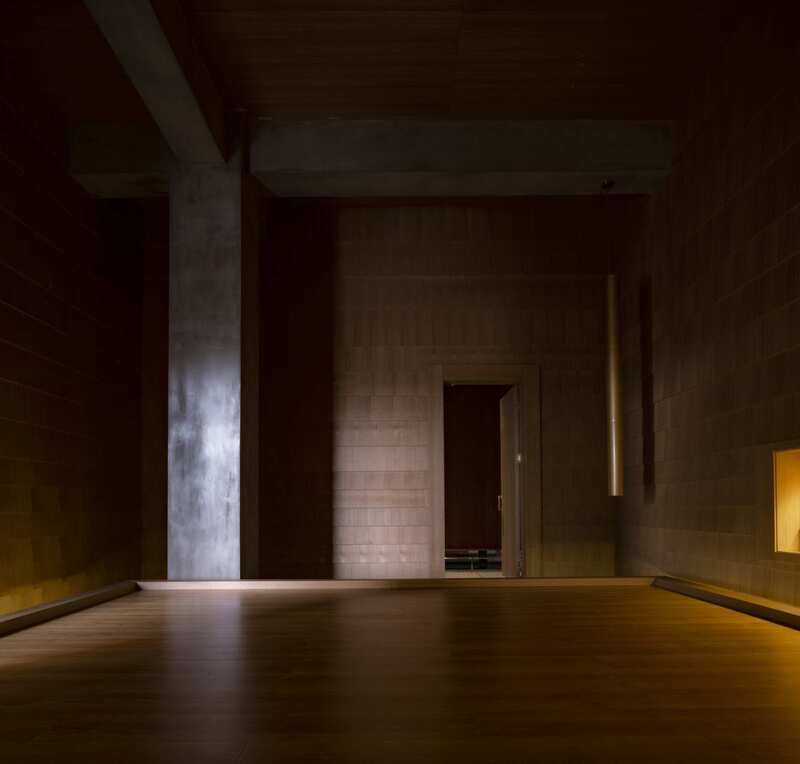 Lighting becomes gradually dimmer as you move deeper throughout the hall, lulling visitors into a more meditative state. 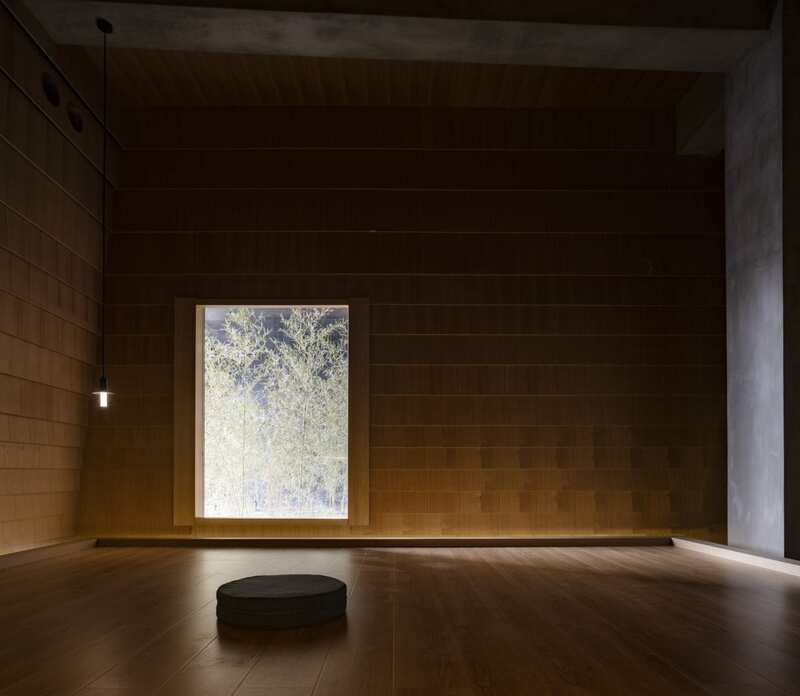 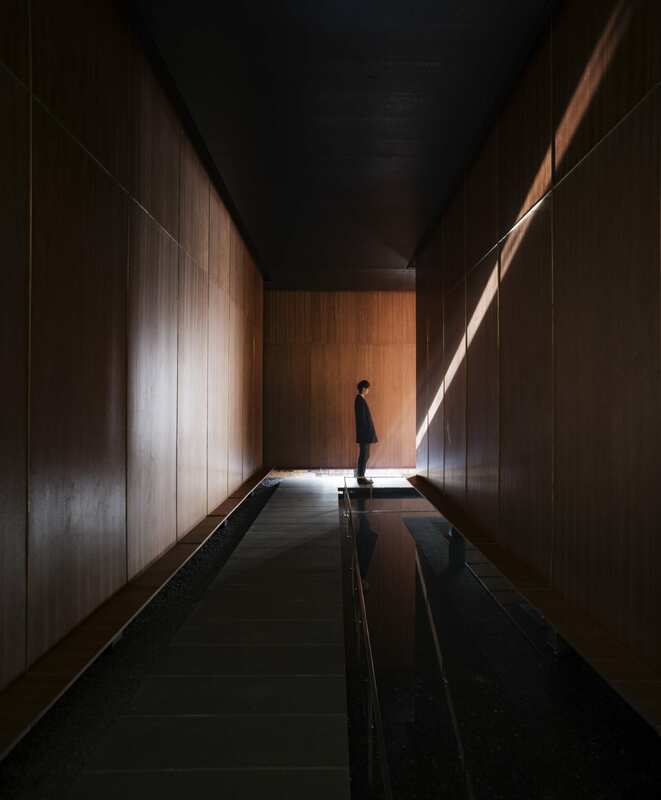 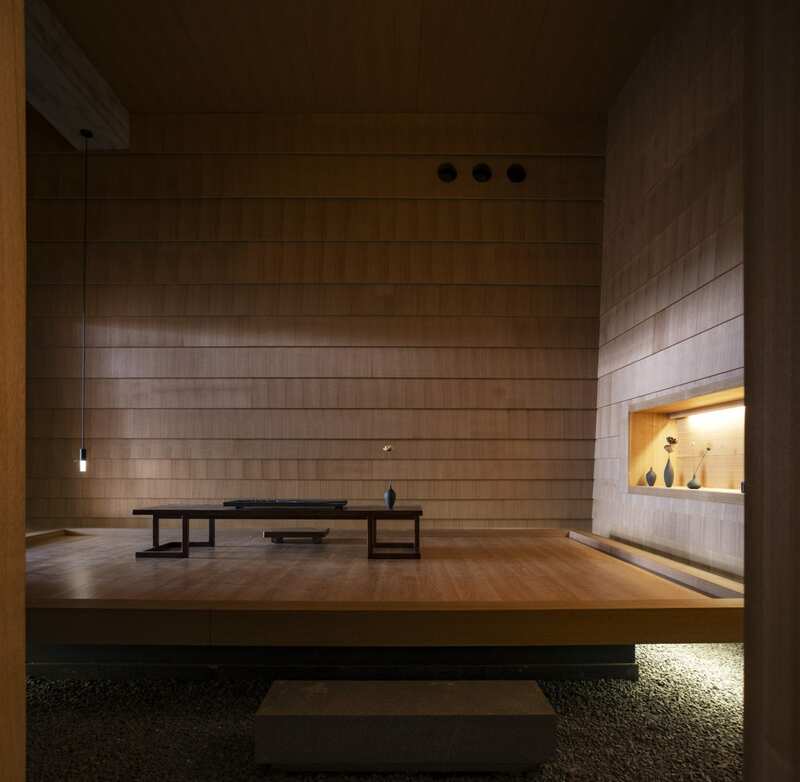 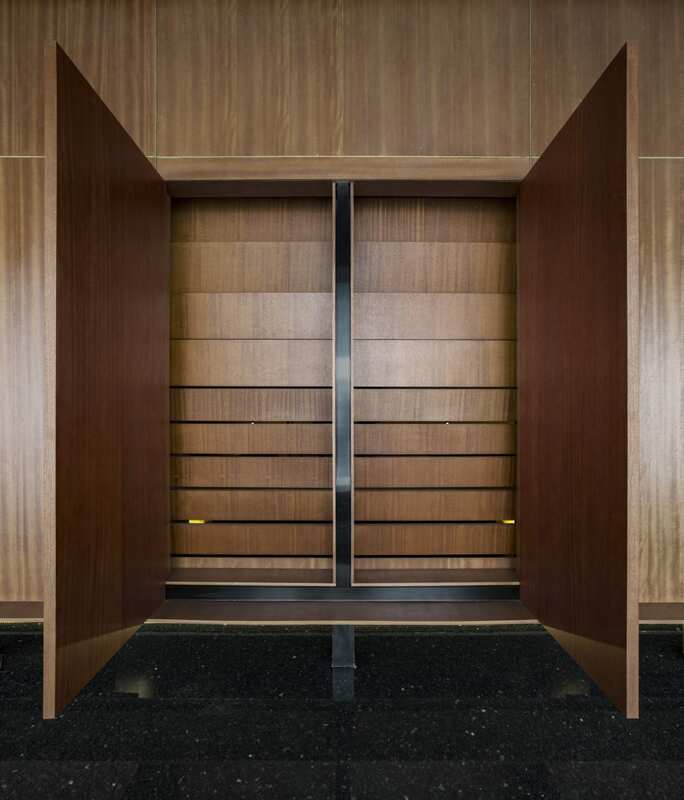 The main meditation room wall features timber panels that open outwardly onto the corridor, allowing the sunlit water to reflect into the room and create an indoor-outdoor effect. 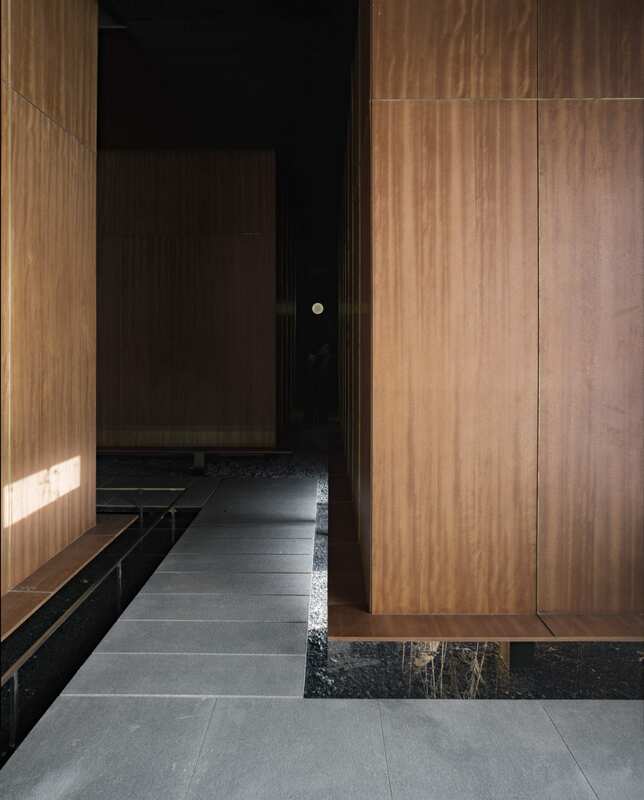 Four stout columns rise from the water and give the illusionary appearance of supporting the entire structure. 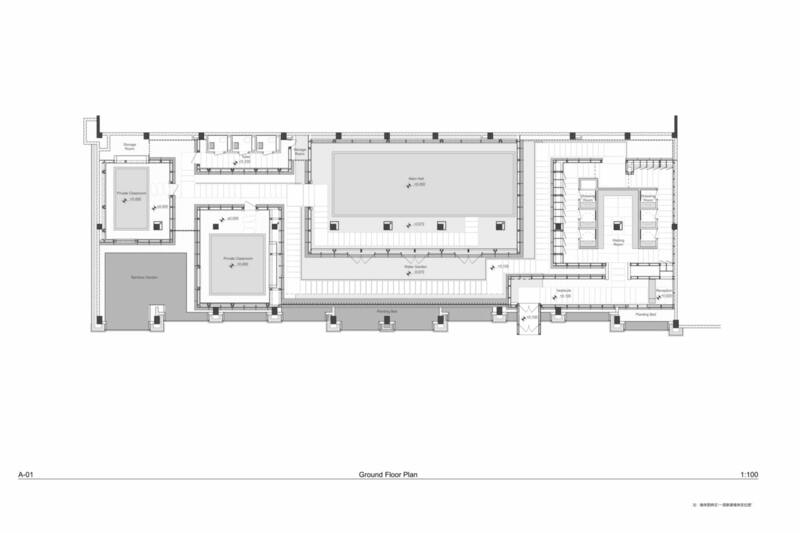 The main hall and private classrooms are enclosed by a double-layered cavity structure. 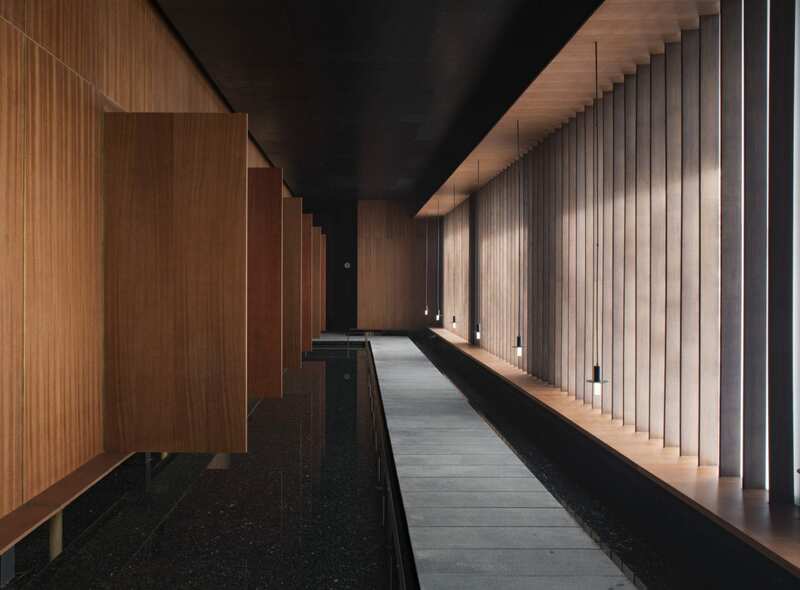 Inclined inner facades made of suspended timber louvres perpetuate the vessel-like qualities of the prominent columns and cantilevered beams. 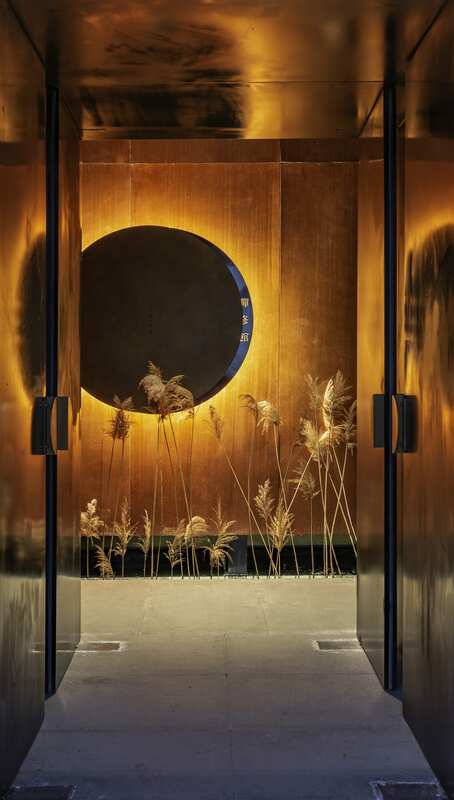 Natural materials such as indoor plant beds and pebbles provide textural contrast to steel frames, polished concrete and brushed metal. 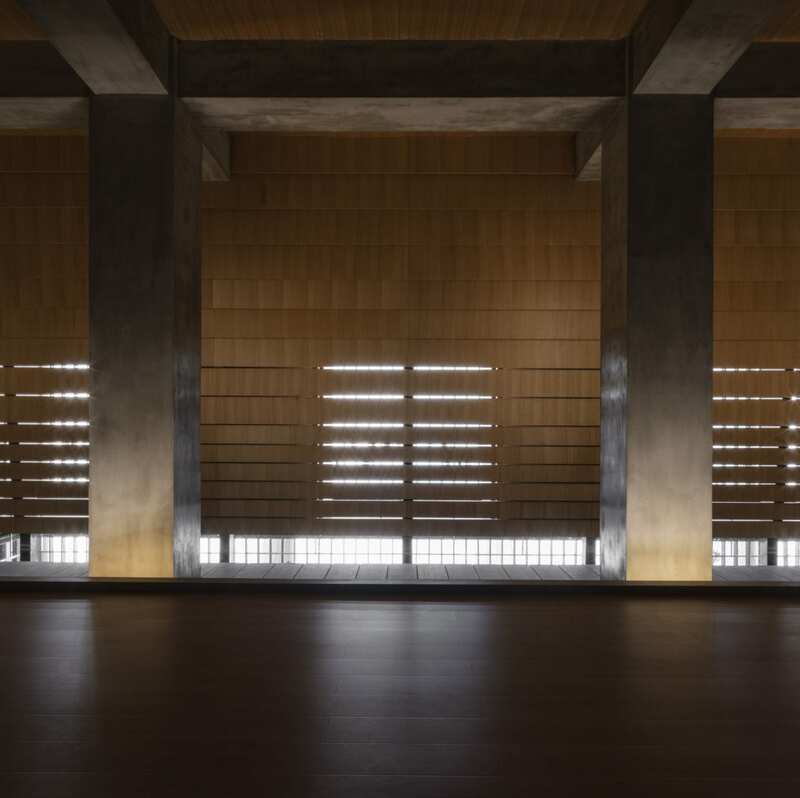 High ceilings and expansive rooms give the centre a tranquil yet imposing feel, more like a shrine than a serviceable meditation and yoga destination. 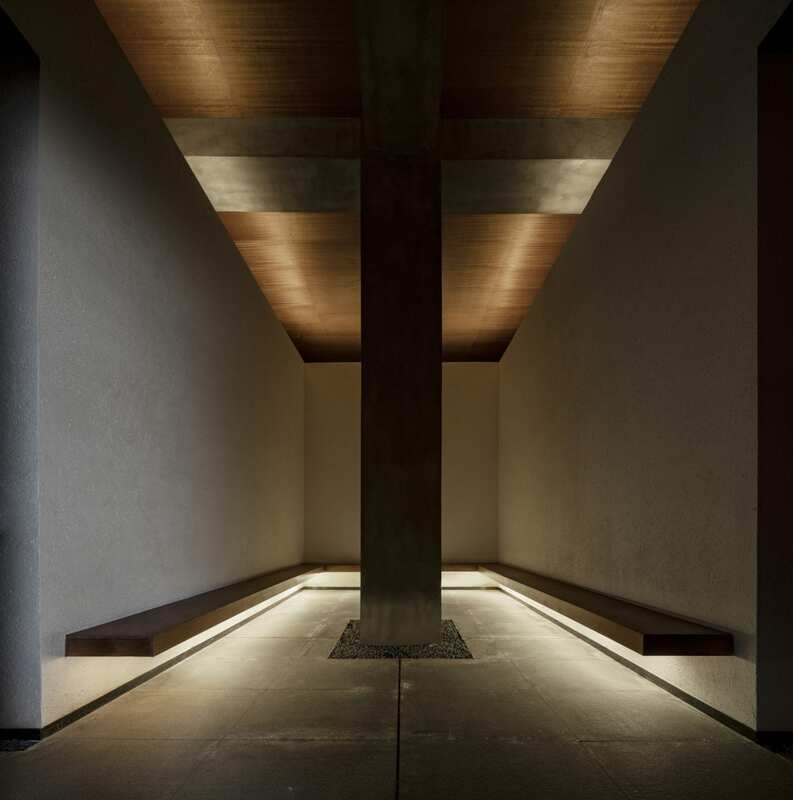 For the local community, the centre functions as a protective shelter and escape from the suburban chaos beyond. 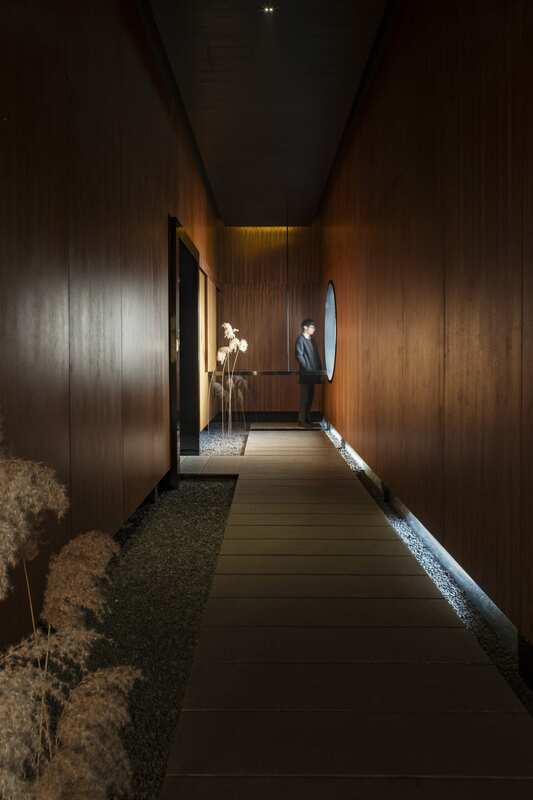 Explore other wellness projects on Yellowtrace.